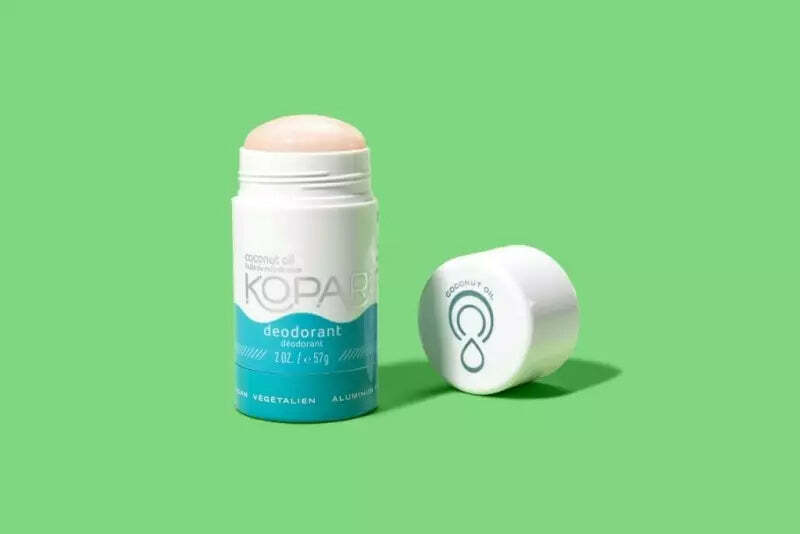 Make your pits (and the people standing next to you) very happy with the delightfully scented, long-lasting Kopari deodorant. If you've been on the hunt for an effective natural deodorant, you know how challenging it can be to find one that truly works to combat both sweat and B.O. And while there’s no scientific evidence of health risk associated with the aluminum used in antiperspirants, plenty of people are still opting to go natural when it comes to pit-sweat control (hey, better safe than sorry!). But natural deodorant is a tricky business — the fact is that natural deodorants require more trial and error than aluminum-based antiperspirants. Because they’re mitigating sweat-based odor rather than stopping sweat, their effectiveness relies on their reaction to your specific body chemistry. 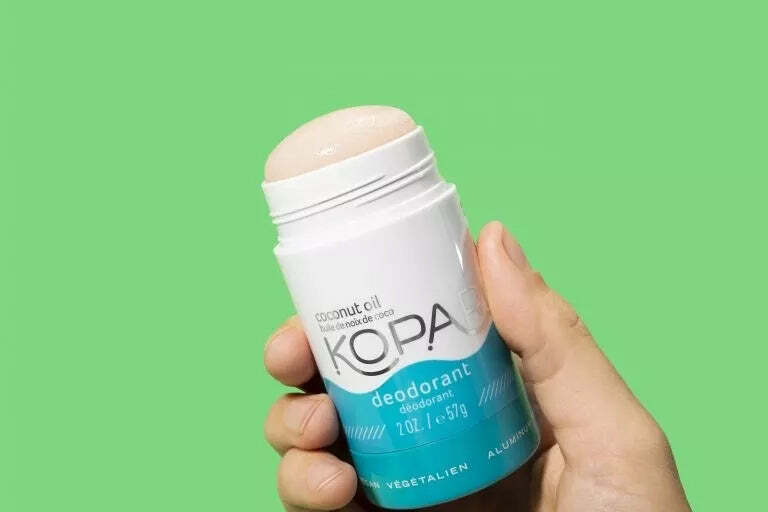 BuzzFeed Reviews tested some of the top-rated natural options to see which ones work and which ones really stink — and this Kopari Coconut Deodorant is our clear winner for the best mid-priced natural deodorant that money can buy. Coconut oil is basically the bloodletting of today: People tout is as a cure for everything from frizzy hair to pathological rudeness (results may vary). But based on our experience with this deodorant, we can confidently endorse coconut oil for at least one thing: taming that B.O. If you don’t like the smell of coconut, first of all, why do you hate summer joy so much? (Just kidding — different strokonuts for different coconuts!) Second of all, this is probably not the best option for you, as it does smell strongly of coconut. We didn’t find the scent at all overwhelming, though, and it mostly dissipated within an hour. In addition to coconut oil — which is antimicrobial and antibacterial — and coconut water (for hydration; more on that later), Kopari deodorant contains sage oil, which (according to the company) helps with both odor and sweat reduction. Is it because it flushes all the bad vibes out of your armpits? Unclear! But, to our true delight and astonishment, it actually works! This was one of the only deodorants we tried, at any price point, that had any effect on the amount we sweat. Not only that, but it left us smelling fresh as daisies by day’s end. Or perhaps daisies that have maybe been kept in a warm pocket for a few hours. Which is still pretty dang great, all things considered. This stuff is a stick, so it’s super easy to apply — and though it leaves a bit more residue than our pick for best cheap natural deodorant, EO, it goes on invisible and doesn't stain clothes at all. But by far, our favorite thing about this is how much it soothed and hydrated the pits of even our most sensitive testers. Oh yeah, and it's vegan and totally cruelty-free. Swoon. "I have tried what feels like every natural deodorant and they all either a) don't work, b) feel gritty like a scrub, c) cause an inflammation reaction, d) smell bad, or all of the above, of course. :) However, this is THE HOLY GRAIL — I returned all my recent trials in natural deodorants after trying this for a week. To recap: A natural deodorant that smells like a tropical paradise, keeps B.O. at bay, actually reduces sweat, and makes your underarm skin feel soft and hydrated? Brb, buying at least two lifetime supplies. Get it from Amazon, Kopari, Sephora, or Nordstrom for $14. And check out our picks for the best natural deodorants at three different price points! And check out our picks for the best natural deodorants at three different price points!This post was adapted from a BuzzFeed Reviews article written by Jessie Gaynor. Some reviews have been edited for length and/or clarity.